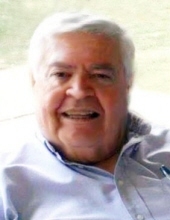 HERRIN -- Donald R. Swinford, 81, died at 6:07 p.m. Thursday, Aug. 30, 2018, at his home in Herrin. He was born Jan. 24, 1937, in Coles County, Ill., the youngest of eight born to Albert Adren and Ruby Sophia Swinford. His mother passed away following an extended illness on Thanksgiving Day 1952, when Don was 15. Don was Co-Captain of the Paris (Ill.) Tigers varsity football team and was involved in plays and public speaking. He met Marilyn Eads at a high school basketball game and walked her home that night. When he graduated and enlisted in the U.S. Army, she sent letters and stayed in touch as he was shipped to South Korea. Stationed in post-war South Korea, Don was a communications specialist and Morse code expert with top security clearance, monitoring transmissions from North Korea near the demilitarized zone. When he returned home, he proposed and they made plans to attend the University of Illinois together. They were married Sept. 20, 1958, in Danville, Ill., and then had another ceremony in her parents' home in Paris a few months later. After graduating with a Bachelor of Science in Accountancy, Don found work as an accountant at locations in Northern Illinois and Wisconsin. While living in Rockford in 1965, they adopted their oldest son, Brian James. Shortly after, they learned they were expecting another child, and second son William Ray was born in 1966 after a move to Olney. Don earned his Certificate Public Accountant license in 1966. The family moved to Carbondale and Don worked as controller at Phelps Dodge Co. of Murphysboro. In 1968, they moved to Herrin and Don was hired as controller at the Norge plant. A daughter, Beth Ellen, was born in 1969. Beth was born with Cerebral Palsy and immediately brought joy to her parents and brothers. When she was still very young, Don wrote a song called "A Special Child,” which he later sang to Beth on a telethon, and the two have worked together at many other telethons and fundraisers for United Cerebral Palsy through the years. He helped her publish a book "Traveling Uphill in a Wheelchair" in 1997 and gave her hand in marriage to Leon Smith in a beautiful ceremony three years later. In 1972, Don opened the Swinford & Palmer, CPA, firm in Herrin. He ran for city treasurer in 1977 and, though unsuccessful, he was elected Mayor of Herrin just four years later. One of his proudest accomplishments was establishing a civic center authority that led to the construction of the Herrin Civic Center. He was an Elder at the Herrin First Christian Church for many years and started a ministry for senior adults called "Recycled Youth." As he grew older, Don took up painting and taught himself to play the piano. He became a prolific writer, publishing novels and writing countless short stories that he shared with friends and family. In recent years, Don and Marilyn enjoyed the community of the Second Baptist Church in Herrin and made several new friends. He leaves behind his loving wife of nearly 60 years, Marilyn; his son Brian Swinford and daughter-in-law Tina of Herrin; his son Bill Swinford and daughter-in-law Kim and their children of Marion; his daughter Beth Smith of Carbondale; four grandchildren, Phillip Riley Swinford and his wife Katie of Marion, Samuel Brennan Swinford, Ross Adren Swinford and Sophia Grace Swinford, also of Marion; brother James Cleo Swinford and his wife Betty of Marshall; brother Aaron Adren Swinford and his wife Rose of New Minden; sister-in-law Barbara Swinford of Savoy; sister-in-law Kathryn Bondurant and her husband Jim of Decatur; a brother-in-law, James Watson Eads and his wife Ginny of Beaufort, South Carolina; dozens of nieces and nephews and their families and numerous old friends he has treasured. He was preceded in death by his mother and father; sisters, Eula Katherine Nichols, Hazel Maxine Duzan and Edna Pearl Huston and their spouses; brothers, Owen Franklin Swinford and his wife Joanne, and Albert Dale Swinford; and son-in-law Leon Smith; and other family members and friends whom he dearly loved. Visitation for family and friends will take place from 5-8 p.m. on Friday, Sept. 7, 2018, at Meredith Waddell Funeral Home in Herrin. The funeral will be at 11 a.m. Saturday, Sept. 8, 2018, at the funeral home with Ministers Ron Henwood and Matt Frizzell officiating. Burial will follow at Herrin City Cemetery. Memorials may be made to the Herrin Second Baptist Church, 900 South 11th Steet, Herrin, IL 62948 or Hospice of Southern Illinois, 204 Halfway Road, Marion, IL 62959. Envelopes will be available at the funeral home. To send flowers or a remembrance gift to the family of Donald Ray Swinford, please visit our Tribute Store. "Email Address" would like to share the life celebration of Donald Ray Swinford. Click on the "link" to go to share a favorite memory or leave a condolence message for the family.